These aren't your daddy's Cheerios! 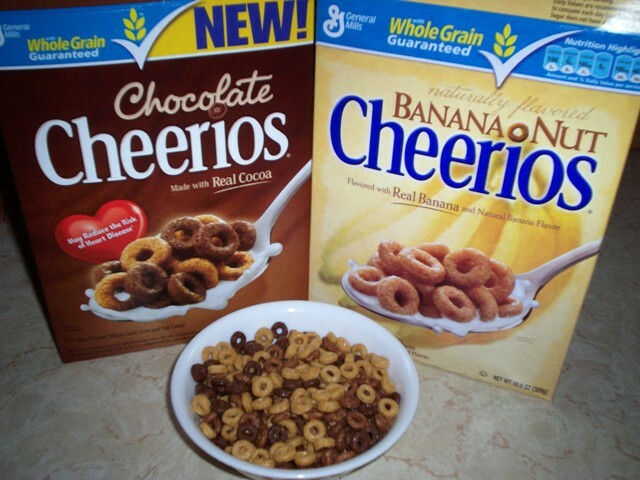 Remember Cheerios ? These tasty O's of oats were in almost everyone's cupboard growing up. And they're still in mine more often than not. I love these things. They have a great taste , stay pretty firm in milk and are "supposedly" helpful in keeping your cholesterol in check. What more could you ask from a cereal ? Well apparently ....FLAVORS ! Those crazy Cheerios people heeded to the demands of their customers and HONEY-NUT and APPLE-CINNAMON CHEERIOS appeared on our market shelves. Then came MULTI-GRAIN, CHEERIOS CRUNCH, BERRY-BURST, FROSTED, FRUITY and YOGURT-BURST. WHEW !!! The 2 newest to appear ( in our area ) are BANANA-NUT and CHOCOLATE. One at a time we tried both new flavors and really enjoyed them. The chocolate was nicely cocoa flavored and turned the milk chocolaty . The banana really had the taste of banana. This was a surprise because banana flavored things usually taste very chemical and odd. But these were bright and refreshing . We loved both and bought them a few times . Then I had my brainstorm. Stop&Shop had both flavors on sale at 2/$5. I told Laura ,"Let's get both and mix them together .We'll have a choco-banana feast in our bowls ". VERDICT: FANTASTIC ! You know how good chocolate and banana tastes together . No exception here. I was afraid the chocolate would overwhelm the banana but it was the opposite . The banana was the more distinct flavor . But the chocolate still turned the milk nice & chocolaty. My invention was delicious . Maybe we should experiment with a few other flavors . How does FROSTED-HONEY-NUT sound ? 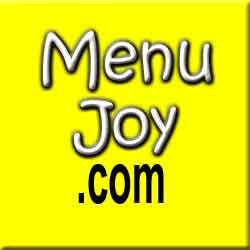 Don't forget to visit our friends at MenuJoy.com for local restaurant menus.